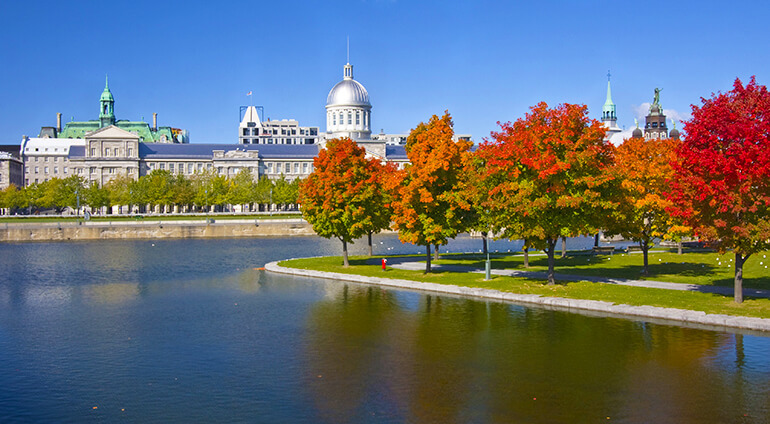 Montreal has four seasons and a warm continental climate. In the winter it gets very cold and the city often experiences sub-zero temperatures and snow. A lot of people avoid going this time, but if you are happy to brave the cold there’s still lots going on. Summers are lovely and warm with some occasional humidity. Spring is also fairly mild and a comfortable time to visit. The average annual temperature is about 6.4 degrees, but it gets much milder than this in the summer. Montreal does experience a fair amount of rainfall.